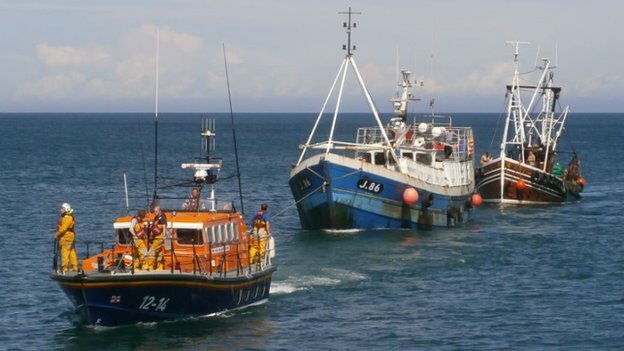 The 19 meter long, 68 rt fishing vessel Fleur de France J.86 became disabled off Point of Ayre near Ramsey, Isle of Man. The fishing vessel had fouled its propeller and rudder and required assistance. The Ramsey RNLI lifeboat responded to the scene and took the Fleur de France under tow. The lifeboat was assisted by another fishing vessel which allowed the vessels to safely enter the harbour entrance. No reports of injuries, damage or pollution released.